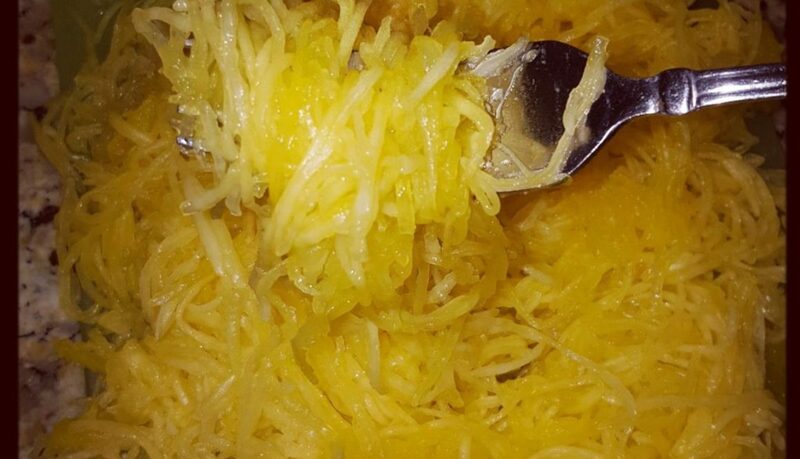 Spaghetti Squash is great! Especially as a low carb alternative to pasta. However, Spaghetti Squash is normally a pain in the neck to cook. You have to cut it in half, which in itself is intimidating enough for some – who could blame them? You risk fingers cutting hard, raw gourds like hard squash and pumpkins. Seriously. It takes forever to cook. In the oven, after cutting in half and cleaning, Spaghetti Squash takes like an hour. Who has that kind of time? Well – I’ve said it time and time again, I LOVE my INSTANT POT! I love it anyways, but I fall in love even more when it makes things like intimidating Spaghetti Squash a freaking BREEZE to make. And, it comes out PERFECT! I cook it WHOLE – yep, you read correctly – WHOLE! It takes zero effort. When it’s done, its so simple to peel and clean, you’re ready to eat it in NO TIME! 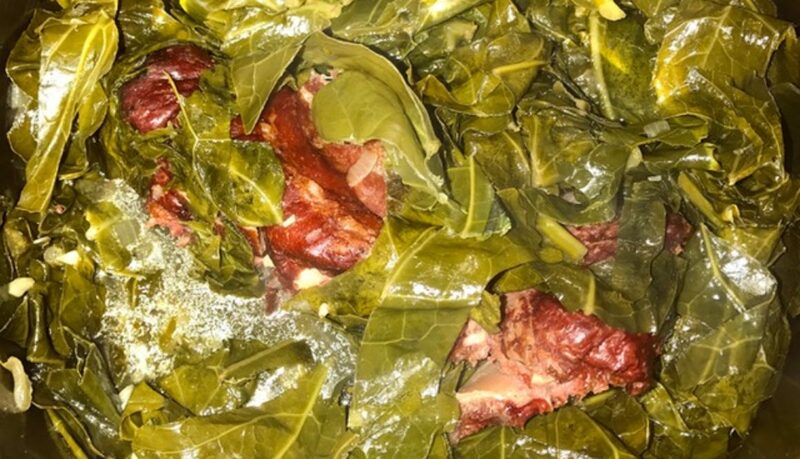 Plug in Instant Pot (IP). Pour water in bottom of IP insert. Place cooking rack over water. Place spaghetti squash, whole, on rack. Do not pierce or poke holes. Close lid. Turn Vent Knob to “Sealing”. Press “Manual” (high pressure on other pressure cookers). Adjust cook time to 18-22 minutes. *why the cook time range? 18 minutes if you like your spaghetti squash “al dente”. 20 if you like it cooked through. 22 if you like it really soft. I cook mine 18 minutes, because I like that al dente bite! Once IP comes to pressure, cook time countdown will begin. When cook time is complete, IP will beep. Quickly release pressure (QPR) by turning vent knob to “Venting”. I ALWAYS place a towel over vent knob before venting. Open lid. You should be able to easily poke a hole in your spaghetti squash using a fork. Carefully remove squash. Yesssss… it will be HOT! Try using the Instant Pot Silicone Mitts! Place on cutting board and carefully cut in half. It will be EASY to cut! Hooray! Now to get those seeds out… I use a grapefruit spoon. Never heard of ‘em? You need one or 2, trust me! It’s a regular size spoon, but its serrated! Genius, I tell ya! Perfect for grapefruit, and things like this! Get em here. 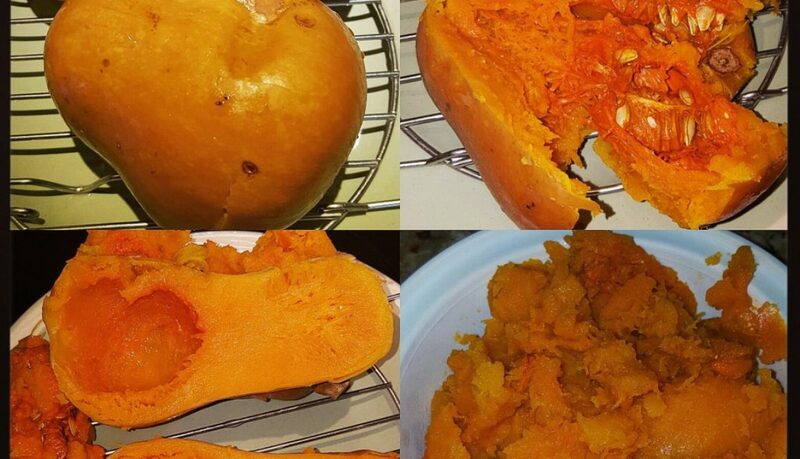 Discard seeds, no worries if you get a little squash with it. Turn each half over and easily peel the skin (be careful… its probably still HOT!). Now, just grab a fork or 2, and pull your squash “spaghetti” apart – its sorta like shredding super tender pork! But obviously way healthier ? Serve with spaghetti sauce, use it in a casserole or frittata, eat it with salt & pepper, maybe some olive oil or butter. YUM! I don’t know about you, but I happen to love my veggies – always have! One day my daughter likes something, the next day she doesn’t. Anyone else face this kid-conundrum?! One day she’s adventurous and willing to try new things, the next day she absolutely refuses. If the veggies have anything but a little salt and butter, forget about it. If they are too hard – nope. Too soft – definitely nope. Simply seasoned and perfectly steamed veggies is the only shot I got. I was skeptical that the Instant Pot might be a little too pressure-powerful for my skinny, long green beans. But, I found the PERFECT cooking technique to appease my household. Perfectly tender, not too soft, not too hard, simply steamed green beans! 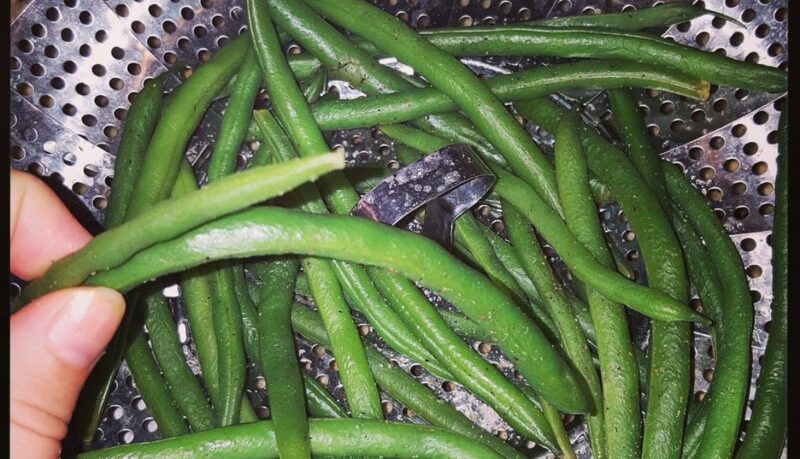 Rinse green beans, cut off ends if desired. Add 1 cup water at bottom of Instant Pot (IP). Place steamer basket at bottom of IP (over water). Add green beans. Sprinkle with seasonings (If you like more flavor (like me! ), up the seasoning game – remember, I am dealing with picky 7 year old…). Close Instant Pot lid, and close vent to “Sealing”. Press “Steam” button on the front of your IP, press “+/-“ buttons to set steam time for 1 minute. It will take about 5-10 minutes for IP to come to pressure, then 1 minute steam time countdown will commence. When Steam cook time is complete, QPR (place towel over vent before turning vent knob to “Venting” to QPR). Remove carefully from IP and transfer to bowl. Add 1 T melted butter, if desired.